Steve Murphy (played by Boyd Holbrook) and Javier Pena (played by Pedro Pascal) are the two agents responsible for taking down Pablo Escobar on Netflix’ hit show, Narcos. Their hunt for the notorious Medellin Cartel leader was told on the first two seasons where both agents served as series consultants. Being experts at solving intricate criminal puzzles, both retired DEA Agents are on a new case with worldwide ramifications. 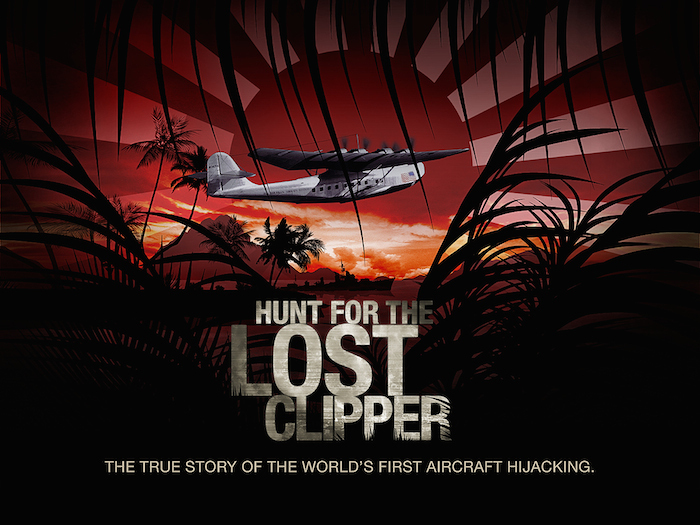 Murphy and Pena have agreed to take the lead of an 80 year old cold case in which a Pan Am Airways aircraft Hawaiian Clipper was allegedly hijacked by two rogue Japanese Navy aviators working with a criminal syndicate to steal $50 million dollars in gold (in today’s standards) and the plane that carried it. If they succeed in finding the remains of the fifteen American passengers murdered and hidden under a slab of concrete, it will force worldwide historians to change the date for America’s entry into World War II from December 7, 1941 to July 29, 1938.